Global Home Improvement installs top-tier fiberglass windows for homeowners throughout Pennsylvania, New Jersey, Delaware. We will work with you to create the perfect frame, styled and colored to match your home’s décor. 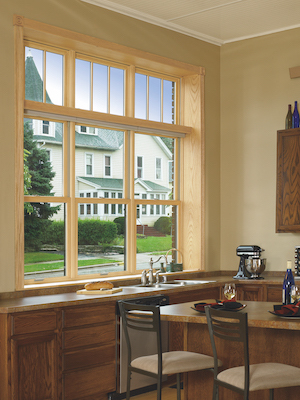 To see if fiberglass windows are right for your home, schedule a free estimate with us today! We serve homeowners in Doylestown, Ardmore, Cherry Hill and areas nearby. For this home in Villanova, PA, the rotted out wood windows were causing so many problems, they needed to be replaced with a more reliable window; the Marvin Infinity fiberglass window. The fiberglass frame helps to resist warping, cracking, and rotting, meaning decades of reliability and top-notch performance. Plus, with the sleek design and grilles, this home was able to keep it's gorgeous cottage look. No matter what style of window you decide is right for you, our capable technicians will ensure a flawless installation and an attractive finish. Interested in fiberglass windows? Call us at 1-855-201-7963 or contact us online to schedule a free estimate in Doylestown, Ardmore, Cherry Hill, Woodbridge, Morristown, Bethlehem, Princeton, Short Hills, Jersey City, Reading, and areas nearby.